Product prices and availability are accurate as of 2019-04-23 17:34:11 MDT and are subject to change. Any price and availability information displayed on http://www.amazon.com/ at the time of purchase will apply to the purchase of this product. Platinum case with a platinum Rolex oyster bracelet. Fixed chestnut brown monobloc cerachrom bezel. 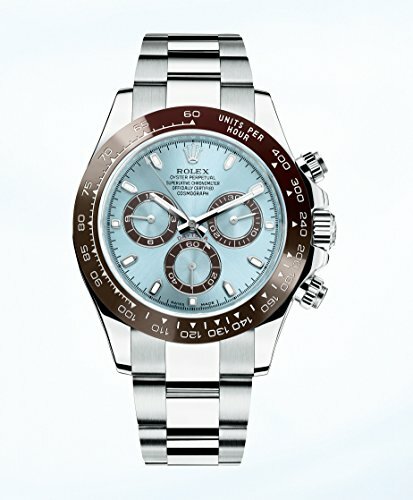 Ice blue dial with luminous silver-tone hands and index hour markers. Minute markers around the outer rim. Dial Type: Analog. Luminescent hands and markers. Chronograph - three sub-dials displaying: 60 second, 30 minute and 12 hour. Rolex calibre 4130 automatic movement with a 72-hour power reserve. Scratch resistant sapphire crystal. Screw down crown. Solid case back. Case size: 40 mm. Round case shape. Oysterlock clasp. Water resistant at 100 meters / 330 feet. 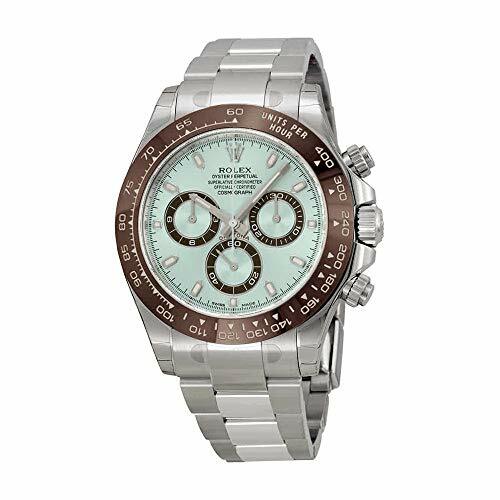 Functions: chronograph, hour, minute, second, chronometer. Luxury watch style. Watch label: Swiss Made. 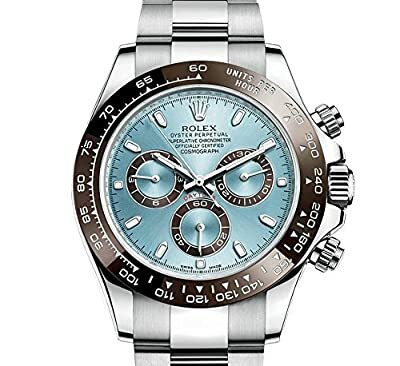 Rolex Cosmograph Daytona Ice Blue Dial Platinum Rolex Oyster Automatic Men's Watch 116506IBLSO.